It doesn’t matter how old you are. Disney movies will always be cool. Who doesn’t remember the thrill of flying on a magic carpet or the terror of Uncle Scar’s plan to take over Pride Rock? I’m talking the classics — the ones with Disney Princesses whose hair never seems out of place or the tiniest bit messed up (even underwater it’s perfect). I’m talking about the movies of our childhood whose songs we know every line to and still belt at the top of our lungs, even if we’re incredibly off-pitch. 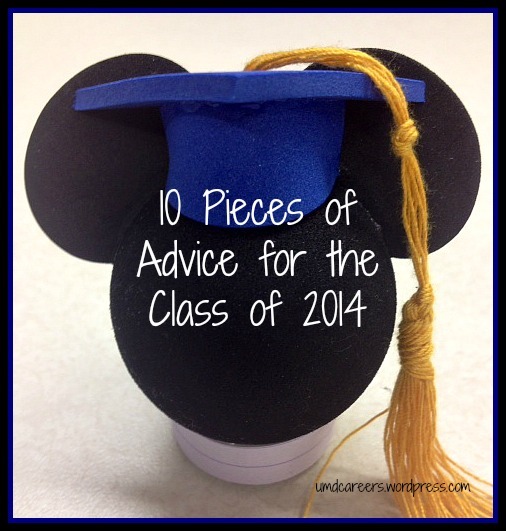 Some of you will very soon be college graduates. The rest of you have anywhere from 1-3 years left. You’re learning about desired industry career paths and figuring out what professionals in these chosen fields actually do (and don’t do). But thanks to Disney, you’ve been preparing for these careers all along. – “Aladdin’ – A new look can make all the difference. Think about your ideal dream job. Now think about your online image. Are there any incriminating Facebook photos that could set your impressive resume on fire with the click of a mouse? An updated look can make all the difference. Aladdin, with the help of a genie, created a new image for himself. He didn’t get an entirely new face (creating a whole new Facebook profile), he just changed his appearance and motives to appeal to his target audience (Princess Jasmine!). He went from shirtless street rat to well-dressed “prince” seeking the princesses’ hand. It was his natural character that ultimately won people over, but he was given a second chance by his cleaned-up, new-and-improved look. Disney Career Lesson: Clean up your appearance on Facebook and LinkedIn if it’s not going to dazzle your target audience. – ‘Emperor’s New Groove’ – Your attitude can affect your work. Power can go to people’s heads, and can lead to superiority complexes. Belittling and big-headedness don’t work well in life, with coworkers and certainly not with potential employers. Even if you’re resume boasts amazing experience after amazing experience, if you’re difficult to work with, people tend to resist. No one wants to work with an Emperor Kuzco — the young leader who thought he knew it all. Disney Career Lesson: Upon his change into a llama, he learned some life lessons, and the audience learned a thing or two about the job search. An inflated attitude can lose you potential employment and friends. A poor, self-pitying “why not me” job search attitude can reap the same effect. Beware because both ultimately could change you into a llama. – ‘Pocahontas’ – Passion drives results. Most career professionals do their best work when they are passionate about their subject. If you have a real passion for non-profits, communications, stock market analysis or playing the violin, you probably devote most of your time to it and put in 100%. Pocahontas, a passionate young girl, prevented a war between her people and the Englishmen. Because of her passion, she was able to communicate her beliefs and get the results she wanted, no matter what it took. Disney Career Lesson: Getting involved with a project that you are enthusiastic about can give you the fire to do your best work possible. Plus, employers can hear the passion in your voice when you talk about a project you really sunk your teeth into. If you’re passionate about it, dive right in and learn everything you can along the way. – ‘Tarzan’ – Be adaptable. 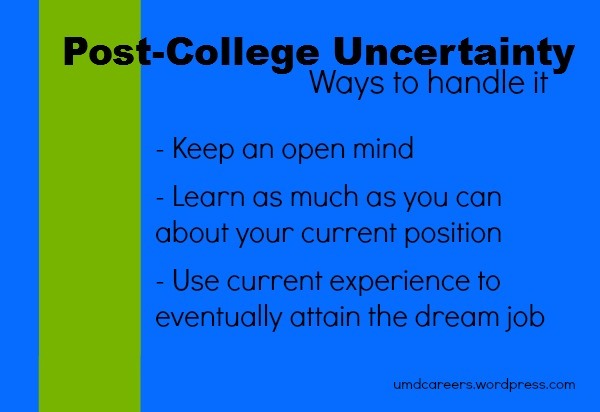 As a job seeker, intern, or recent graduate, you’re going to be thrust into situations that can be uncomfortable. Wherever you work, you have to be able to jump from project to project, task to task, with expertise. Being able to adapt to an environmental change, as Tarzan did, can make you a valuable asset to any organization. Disney Career Lesson: Tarzan was a human who adapted to living in the jungle with apes. He used his head and taught himself things to make his life easier, such as tree surfing and spear-making. Whether it’s adapting to an employer’s needs, a situation, or a whole new job, you need to find your inner ape. – ‘The Little Mermaid’ – Take risks. As new employees or interns, we’re driven to follow the rules and stick to the guidelines. However, as you advance your skills, taking charge and changing the game lead to great rewards. – ‘Princess and the Frog’ – Don’t be ashamed of asking for a little help. You’ll discover at most jobs you’ll be assigned to a team that works with a client or project. This is because, in most cases, a team can provide better results than one individual. Teams bounce ideas off each other, can proofread each other’s writing, and lighten the load when people are too busy to complete a task. – ‘Hercules’ – There are always two paths to the finish. When you start a project, campaign or even a blog post, the way you start and the way you want it to end may not always be the same. We usually start something one way, but along the way we have to roll with the punches and find another route to the goal. A new college graduate has to make a lot of decisions. One of the biggest of the “Giant Decisions To Make” pool will probably be deciding where you live after you take off the ceremonial cap and gown. Will you move out of state, back in with your parents (I know it’ll only be for a little while), or will you stay in the town you’ve studied, partied, and lived the last few years? I decided to stay in my college town of Duluth. Things are working out so far, but being a sort-of adult can be tough — especially when you’re being a grown-up in a college town of approximately 80,000 people. It’s been great, don’t get me wrong, but it has presented some challenges to fully embracing adult life. My typical day usually includes some form of the following: Waking up and getting ready for work, downing a strong cup of coffee, working from nine to five, heading home, cooking dinner, chatting it up with family/friends/roommates, and heading out for a walk/run. Depending on the day, I manage to work in blogging, watching my favorite TV series on Netflix, reading, making a Target run, or a mix of everything. Yes, there is the occasional happy hour or dinner outing with friends, but these don’t happen as often as you might imagine when thinking about your post-college lifestyle. Being in a college town, I often find myself stuck between two worlds. College students (some of who are good friends of mine) are still partying hard while adults, like me, are trying to hold steady jobs. I’ve learned to ignore the eye rolls and “old lady” name-calling when I tell my friends I can’t stay out at a bar until 1 a.m. on a Tuesday. On the other hand, Duluth is home to many people and families who have lived here for generations. In my office, for example, I’m the youngest staff member and most of my coworkers are married and/or have kids. I’m neither married nor a parent. Of course, everyone I work with knows this, but I still feel a little out of place because I never have cute kid stories to share. Do I feel pressured in any way to grow up faster because of these differences? Not at all. All it comes down to is that they make for a slightly awkward existence during an already awkward time in one’s life: sort-of adulthood right out of college. The really tricky thing? I look like a college student. In a college town, that more often than not means I get treated like a college student. It’s not always a bad thing. I can take advantage of student discounts without having to show off my student ID. That part is good, but it would be nice to see a little more respect. For Duluth, the need to keep new graduates in town longer after graduation has already been recognized and the city is striving to make itself more desirable to sort-of adults like myself. While it’s bizarre to think my daily routine includes going to work, hitting up Cub foods for the week’s groceries, paying bills (student loans included!) and going out to a bar with friends later in the day, this IS my normal. All I can do is make the most of it. And trust me when I say, I am. Driving a tractor is not a typical skill someone talks about in a job interview. Writing, editing, researching — these are the usual types of things someone with a liberal arts degree talks about when discussing one’s skillset. Tractor driving? Not so much. But it’s certainly an experience one shouldn’t overlook. Just because it doesn’t seem relevant doesn’t mean there isn’t something there worth holding onto in later days. Like many of my friends and former classmates, I didn’t have a real solid plan when I graduated. I’ve been a member of the working world in my first job out of college for almost two years. Thinking about my next step, I feel like I’m finding myself in the same place: completely uncertain. Do I go to grad school? If so, what the heck do I study? Do I search for the next job that’s the logical next step up the ladder? Do go back home to my parents’ farm, spend a few months back on a tractor harvesting corn, and clear my head? Like I said, I’m completely uncertain. Thought that feeling would go away after college? I’m here to break it to you. It doesn’t. Finding my path in the real world thus far has been very different from in college and much harder than I ever imagined. It’s not as simple as making a list and checking them off with perfect, little checkboxes next to each and every item. Looking back now, I took it for granted how easy it was to connect with my peers in clubs and causes we felt so passionately about. In the real world, there are so many ways to spend and fill my time that choosing the right opportunities is more than half the battle. Join that new kickboxing class, attend a writer’s workshop this weekend which requires a 10-page manuscript, audition for two upcoming community theater shows, attend the seminar on the business administration Master’s program, or all of the above? For all I know, I’ll wake up tomorrow morning and hate all of these ideas, and I’ll be back to square one. The truth? I feel like there is so much I could be doing, but with no real direction, I feel like I can’t fully do anything! So the struggle of uncertainty continues on a daily basis. Maybe you’re one who has it all figured out. You know where you’re going, what your next step is, and even what Master’s you’re going to earn (and you’re going to do it starting next fall). To those people, I say congratulations, and I must admit I’m a bit jealous. But we all have our own path, and if mine is uncertainty for the time being, so be it. I might not have gotten my dream job right out of college. That doesn’t mean there isn’t a few lessons for me to learn and take away from my current position, stick’em in my pocket and save them for the day I do figure out my next step. 1.) I have to keep an open mind. I never know which aspects of a project may spark new passions and interests, or lead to making great new friends. 2.) Learn as much as I can in my current position. Every experience is valuable, even if it doesn’t seem relevant to my life right now. 3.) I have to constantly look for ways to use this experience to eventually to attain my dream job. Regardless of how unrelated my current position might be, there are probably aspects of it, such as organization or teamwork, that will make me a stronger candidate for a job I really want somewhere down the line. From this experience (and the countless experiences I’ve already had), I can say this: No matter how imperfect this first job might seem, things will get better. This uncertainty, it’s merely a temporary phase I’m in. If I stay focused on the big picture — what I eventually want to be doing — the short-term stuff won’t pull me down. I’ll figure out my next step, just like you will. Even if it is driving a tractor during fall harvest into the sunset. I’m an Oscar-season diehard. The moment I hear the nominations for Best Picture, I’m pulling out my calendar along with the local movie theater’s calendar to find out what’s playing when. The Academy Awards are my Superbowl, and I go all out to find out everything about all the nominated movies and their players. As you can probably guess, I pull a lot from each of these movies and career advice is only the tip of the iceberg. One of the big Oscar nominees this year is ‘The Wolf of Wall Street,’ starring Leonardo DiCaprio and Jonah Hill (directed by Martin Scorsese). Here’s the short synopsis: Based on the true story Wall Street stockbroker Jordan Belfort, the man was highly successful in the 1990s. From drugs, to cars, to women, to in-office antics, everything Belfort did was lavish and over-the-top, just the way he envisioned it, until his success came tumbling down. Whether or not you’ve enrolled in a business course while at college, there are certain lessons that can be drawn from how Jordan Belfort did business, and you can apply them to your job search in no time. 1.) Money talks whether you like it or not. If you have money, people in your inner circle will like you for that benefit. But money doesn’t always mean the green, papery stuff. Pay attention to those who stay with you when you’re down, and make sure to share in the good times along with them, too. This goes for job hunting, too. If someone gave you a reference which helped snag that coveted interview with the company of your dreams, pay it forward to the next guy who made need help from you. 2.) Don’t just talk about it. Be about it. Nobody wants to hear about what you’re doing next year. They want to know what you’re doing right now, and how it’s going to get you there. Success isn’t measured in dollars or cents; it’s a mentality. One should start striving for it immediately in whatever is being done, big or small. Set achievable goals. Keep your hands and legs busy, so you’re actually doing it instead of only talking about it. 3.) As long as it gets done, it doesn’t matter how. Did you know musical legend Jimi Hendrix was a lefty? He played a right-handed guitar strung backwards and upside down. While getting the job done within the rules of the game might be preferred, getting the job done, period, is necessary. Never be afraid to try things your own way. Originality is what separates you from the rest of the competition. It helps to change your mind set just a notch to the left: achieving your goals is only the finish line. It’s how you choose to run the race that’s open to interpretation. Always dress the part. If you’re not qualified for the position, as least look qualified for it. It’s all about presentation. Your appearance reflects your reputation and work ethic. When meeting with a potential next boss, a sloppy suit might imply a sloppy job. (There’s a reason why James Bond is always draped in a Tom Ford or Gucci for Men suit.) We have style boards on Pinterest for both women and men. 5.) Failure can push your motivation. Failure can be a very powerful tool in your toolbox for success. After being dealt a fair share of defeat (and if you’re searching for a job, it’s going to happen), you’ll start to crave success. Jordan Belfort’s first business was selling meat and seafood, and he failed miserably at it. What can you and all job seekers take away from this? Don’t let failure stand in your way as a stop sign. Rather, it’s a detour. Rethink and revise your plan as needed. Persistence. Persistence. Persistence. For Belfort, “no” wasn’t an option. The pitch is everything, and when you’re in an interview, you’re pitching you! You have to buy into yourself first, before you can try and “sell” yourself to employers. Confidence is everything. If potential employers aren’t sold on you, they’ll never buy into your skillset. Unfortunately, opportunities aren’t always reserved for the most worthy of candidates. It’s a dog-eat-dog world out there, and job seekers need to be the wolf in a world of dogs. Wolf, defined as a verb (and according to Belfort) means to devour greedily. The term ‘greedily’ doesn’t have to be taken negatively here. When Belfort said, “be greedy,” he meant to take what’s yours. When you’re sitting in the interview with your dream company, that time with the interviewer is yours. Take it! 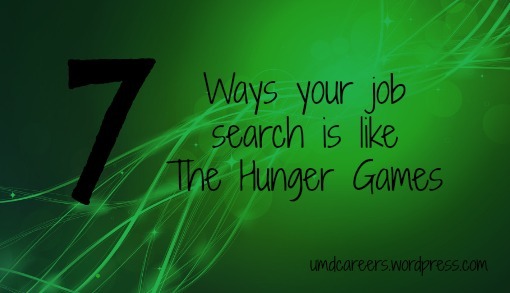 By now, most seniors have probably started the great search for that first job after graduation. A handful of you may even have full-time jobs lined up already before you’ve even graduated! To you, I say congratulations! But the rest of you are probably on the opposite side of the spectrum. You’re still searching, or only beginning your search, and that’s okay! The unfortunate news is that in this tight economy, your search may be a struggle and budgets can be tight. 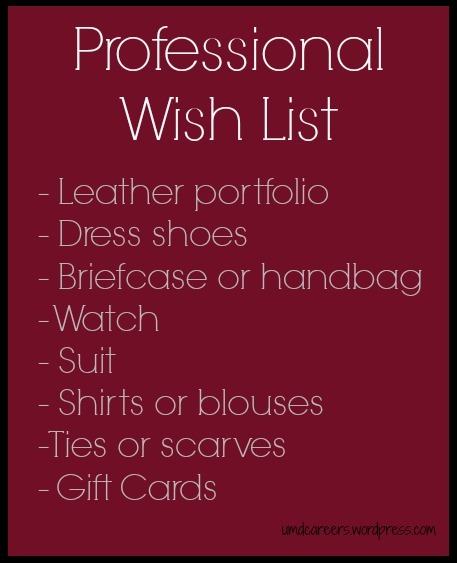 So instead of putting a couple more Wii remotes and that Harry Potter boxed set on your wish list this holiday season, why not make a wish list of things for a great professional appearance? A nice leather portfolio is a great gift because as you know, presentation matters. You will enhance your professional brand with little additions like this one. The last thing you want to do before an interview is get dressed up in a real nice professional outfit only to be humbled by a pair of scraggly, old shoes you’ve had since middle school. Make your shoe size known and point out a few styles you really like. Confession time: Bringing a backpack to a job interview isn’t going to look super professional. If you, a new job seeker, show up looking like you just literally got off the bus, the interviewer is probably going to have a tough time taking you seriously. A nice briefcase or handbag is a great gift to receive. Plus, they make you look sharp! The right accessories can take almost any professional outfit to the next level. Watches are a classic addition to any look for men and women. No, not the TV show! Consider putting a suit on your wish list this year. Whether you’re a construction worker or a lawyer, it’s essential that everyone own at least one suit for special occasions. You never know when you will need one — especially when it comes to interviews, company events, or special family occasions. Although they sound boring, appropriate tops are a necessary need for job hunters. A recent grad might not think of adding this basic need to their professional wardrobe at first. Ties and scarves add a fashionable splash of color to many professional looks. Again, accessories to the rescue! If all else fails or if you’re pretty particular about the type/style of clothes you wear, it’s always better to let the job seeker decide. Gift cards are an easy and quick way to help you out with your shopping needs. But what is the most important gift of all? The gift of love and support, and your family will have an abundance of that on hand! Job searching is tough — especially these days. Their encouragement and support will go a long way. Need more ideas? Check out our Pinterest boards for dress ideas: Women and Men. Who else is excited for the premiere of “Catching Fire” (the second Hunger Games movie) this Friday? I know I am! There are so many things I love about the Hunger Games and its storyline. It’s possible I love the books too much! Why do I say that? As I watched the first movie for the 60th time and begin rereading the second book, I’m seeing ways The Hunger Games can be related to somebody’s job/career search. Crazy? Maybe. But, the lessons are definitely there (And it’s more than tributes from Districts 1 and 2 being labeled as “Career Tributes”). Ultimately the Hunger Games are a game of strength, skill, endurance, and courage (along with a few other things, like teenagers fighting and copious amounts of blood, but we’re going to overlook those for now). Here are the key job/career search lessons I’ve found, and maybe after reading this, you’ll see a few more of your own. 1.) Don’t follow the crowd. In The Hunger Games, if you run with the crowd, you will most certainly get beat to a pulp. Stay away from the crowd. Like, run away as fast as you can, and get away from everything they are doing, and get as far away from them as you can! Metaphorically speaking, of course. How does this relate to a job search? Take risks. Do something outside the box no one else is doing. 2.) 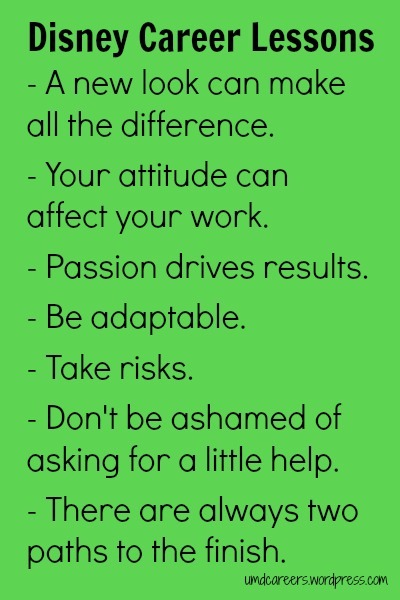 Have a Skill Others Don’t. Remember when I mentioned Katniss’s awesome skills with the bow and arrow? That comes in handy more than a couple of times. Get a skill most other people in your field don’t have, and you’re bound to catch the eye of your employer and beat out the competition. Or at least survive into a few rounds of interviews and get your name out there a bit more than before. 3.) Put Yourself Forward and Volunteer. SPOILER ALERT! Katniss is the first person in the history of the Hunger Games to volunteer herself for District 12, and she wins, saving her sister from almost certain death. Job Search Lesson? Put your name forward for that next project. You might not save someone from their ultimate demise, but you’ll probably learn something new in the process. 4.) Don’t Offend Your Competition: They Might Be Allies Later. If you try to undermine coworkers, or hack them to pieces in the hopes of advancing yourself, it could end up backfiring. What if you need to work with them on a project later? They might backstab or trash talk you in the future, if in the past, you tried to cut them down to make yourself look or sound better. 5.) Expect the Rules to Change. Sometimes the rules in the workplace change in ways you don’t like. Maybe you have to work overtime, or fill in extra paperwork, or you thought you and a coworker were both allowed to take lunch at the same time. But then you’re told only one of you can. If you think the old system is better, don’t just complain; help make your employer realize it, too. 6.) Be Patient with Your Mentor. Sometimes a mentor figure will appear in your life — someone who was once in your same position and moved up. Your potential mentor might be a real character, old and rambling, reserved and distant, or surly and constantly drunk (Haymitch, anyone?) But if you’re patient and prove your worthiness, you may reap some priceless pearls of wisdom, and a couple career-saving favors. 7.) Old, Festering Wounds are the Real (Career) Killer. If something was to end up killing your career, you might think it would be a single devastating mistake or a round of mass layoffs. But most careers aren’t killed by something so dramatic. Injuries caused by past stumbles — dropping out of college, a bad reference, a cameo in a low-budget 80s film — can, if neglected, accumulate and turn out to be fatal. So try to heal them while you can!